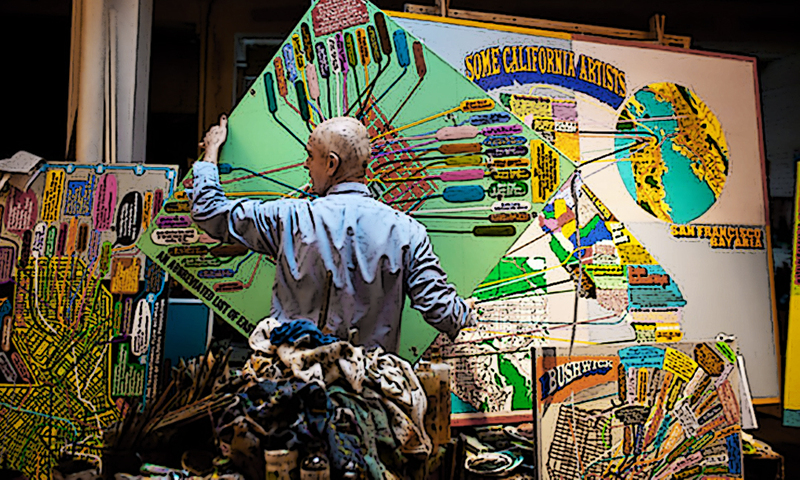 SINCE ESTABLISHING HIS STUDIO IN NEW YORK IN 1979, THE PAINTER LOREN MUNK HAS CONSTANTLY PURSUED A COMMITMENT TO PAINTING AND THE ARTISTIC COMMUNITY. CONCEPTUAL STREET WORKS IN THE EARLY 1980’S LEAD TO HIS ARREST BY THE NEW YORK CITY POLICE DEPARTMENT. THE SUBSEQUENT NOTORIETY CONTRIBUTED TO A STRING OF SUCCESSFUL EXHIBITIONS OF PAINTINGS IN SOHO AND INTERNATIONALLY. HIS UNIQUE AND INNOVATIVE USE OF MATERIALS SUCH AS MIRROR, GOLD-LEAF AND GLASS MOSAIC AFFIRMED HIM AS A FOUNDING FORCE OF KITSCH ART AND A LEADING MEMBER OF NEW YORK NEO-EXPRESSIONISM. AS A MEANS OF ENTERING THE CRITICAL AND THEORETICAL DISCOURSE, MUNK CREATED THE PERSONA JAMES KALM IN THE MID 90-IES. PUBLISHING HUNDREDS OF ESSAYS AND REVIEWS UNDER THIS PSEUDONYM, MOST NOTABLY IN THE BROOKLYN RAIL, MUNK BECAME FASCINATED WITH THE HISTORY AND ASSOCIATIONS OF THE NEW YORK ART WORLD. 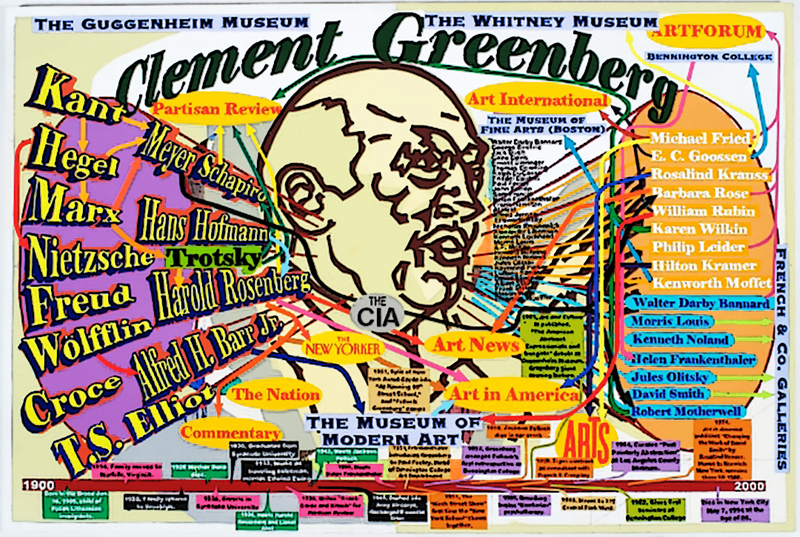 THESE DEVELOPMENTS LED TO A REASSESSMENT, AND THE CURRENT SERIES OF WORKS, WHICH AESTHETICIZE ART HISTORY AND DOCUMENT THE LOCAL ART COMMUNITY. YOUTUBE’S KALM REPORT EXEMPLIFIES MUNK’S BLURRING OF CRITICISM, Historical DOCUMENTATION, JOURNALISM, AND PERFORMANCE ART AND BEGAN A NEW MODE OF ART REPORTAGE ON THE INTERNET. DOWNTOWN 500 ZINE WELCOMES LOREN JAMES MUNK IN OUR CREW. HE HAS MANY LEGENDS TO TELL, HERE YOU ARE WE HAVE SPOKEN TO HIM. DT 500 ZINE: – Loren James, we are enjoying your videos. You know much about art brut movement or the outside art, we appreciate this idea too, and we are really curious about your story? LOREN JAMES: – I was born In Salt Lake City, Utah and baptized as a Mormon. My mother remarried when I was eleven, and moved the family to Idaho. In 1968, I ran away for a month to be a hippy in Height-Ashbury, San Francisco. In 1972 I joined the US Army as a medic and was stationed in West Germany for 2 1/2 years. During that time I visited as many art galleries and museums as I could. Returning from Europe, I visited New York for a week and decided that I needed to live here if I wanted to be an artist. DT 500 ZINE: – the right place to be for an artist soul for sure… and how did it go? LOREN JAMES: – As a child in grammar school, I was disciplined continuously for spending all my time looking out the window. Even at that young age, I thought that the world outside represented fun, freedom. A place where one could do what he/she wanted, and be the kind of person he/she dreamed of My earliest drawings and paintings were ways for me to create that outside or inside the world where I could be free. DT 500 ZINE: – …it should be influencing your personality, shouldn’t it? The Compagnie de l’Art Brut collection was exhibited in Paris, and a permanent location sought, but due to lack of funding and Debuffet’s high standards, it became impossible. In 1951 the Collection was shipped to the artist Alfonso Ossorio’s estate on Long Island, New York where it stayed for the next ten years. During that time it was visited by many of the most well-known members of the New York art world including Jackson Pollock, and Willem de Kooning. In 1962, the collection was shipped back to Paris, and the Compagnie de l’Art Brut is reformed. Eventually, a permanent home for the group was found in Lausanne, Switzerland. In 1976 the Château de Beaulieu was opened to the public, and it now houses the works of hundreds of Art Brut and Outsider Artists. DT 500 ZINE: – Let’s put it like Fine Art vs. Art Brut? 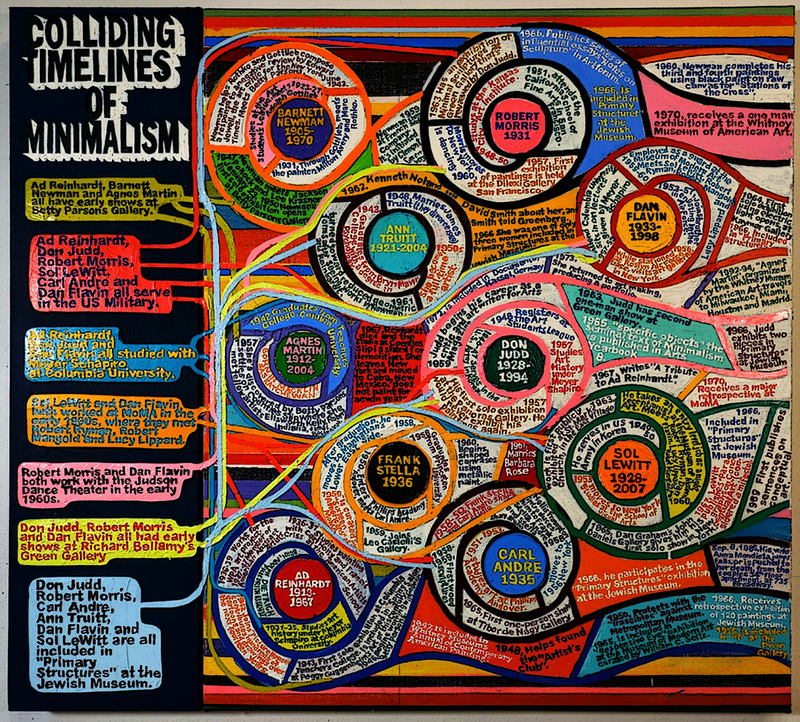 What do you think about Art Brut Legitimation? – First, the schizophrenic, mentally ill, or “mad artist” realm (this includes the criminally insane). – Second, the innocent, simple-minded, unspoiled, unskilled or uneducated artist. – Third, the mediumistic, or the artist who’s directed by higher forces, spirit guides or even GOD. LOREN JAMES: – Of course as the history of Art Brut unraveled, these standards became very complicated and hard to follow. Eventually, Dubuffet had to formulate other categories that he termed “Neuve Invention” as an ancillary concept to Art Brut. 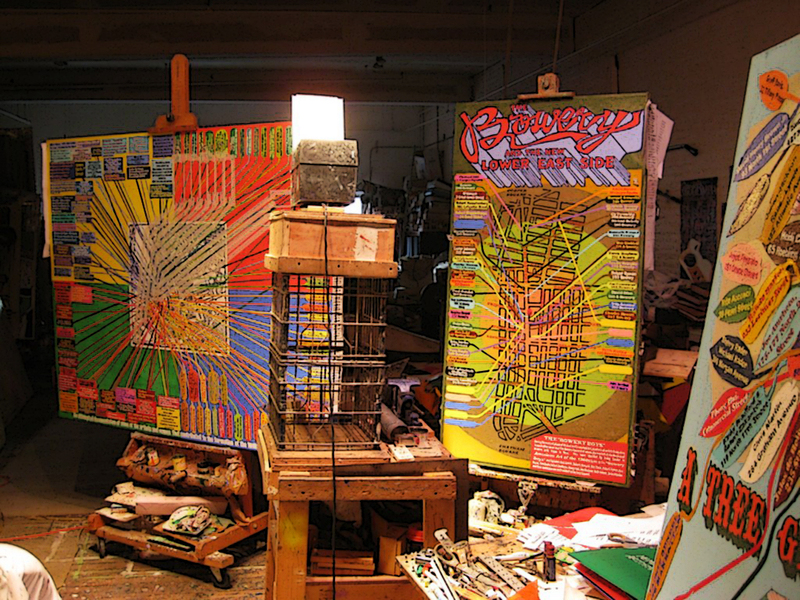 Around 1972 author Roger Cardinal writes Outsider Art which popularizes the term “Outsider artist.” His book includes some different tendencies and artistic types. To mention a few other types of “Outsider Art” that Dubuffet sought to distinguish from Art Brut were: Folk Art, Naïve Art, Primitive Art (anthropologically designated), and commercial art. Ironically, if you understand what it means to actually be an Art Brute artist, you’re probably too well-educated and informed to really be one. DT 50 ZINE: – Who are your fave artists? LOREN JAMES: – I’ve always been fascinated by what it means to be a human being and all its variances. Today we are faced with incredible social, governmental, economic and technical challenges. These forces are trying to subjugate our energies and lives. Somehow, we’ve become trapped between totalitarian socialistic government power on the one hand, and corporate interests seeking to turn us into mindless consumers on the other. DT 500 ZINE: – How can we resist? LOREN JAMES: – To resist this “Society of the Spectacle” people need to get away from the prepackaged commercial culture that’s being pushed down our throats. DT 500 ZINE: – RAPTURE! 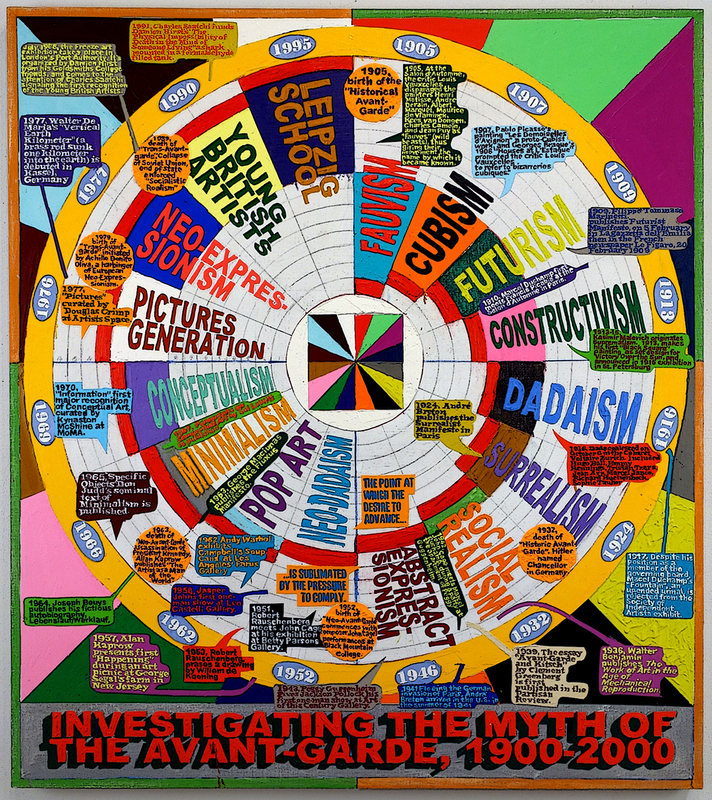 DT 500 ZINE: – If we try to sum it up to Art But Agenda, what would you push forward? LOREN JAMES: – I hope that perhaps thinking like Dubuffet, seeking a more primal human level of perception, we can resist the totalitarian ideology of the “Spectacle.” Art Brut seems like one place where people can create “outside” this bubble of ideology. It may not be possible to truly resist the “Spectacle” but if we can at least “see” and start to understand the “Spectacle” we have a starting point to contest their control. DT 50 ZINE: – Mate, you are an Art-Brute as well, pls tell us more about your personal contents? LOREN JAMES: – As I stated above, to be a real Art Brut artist, you have to be untouched by culture’s influences. Because I’ve been highly trained in technique and history, I’ve decided to go in the opposite direction. That is, to go into the belly of the beast (the art world itself) and use its own communities, language, and history as the subject of my practice. My inspiration is the ontology of art and what it means to be an artist today. DT 500 ZINE: – What is your mint work-on-the-go? LOREN JAMES: – Because I encountered my first “fine art” in the early 1970s while in the army in Germany, I’m fascinated with the period of European art history just before and after World War II. It’s instructive to study how the Avant-Garde reconstituted itself after being annihilated by both the National Socialists and the Soviet Socialists. This is the period when New York became the center of the art world supplanting Paris. 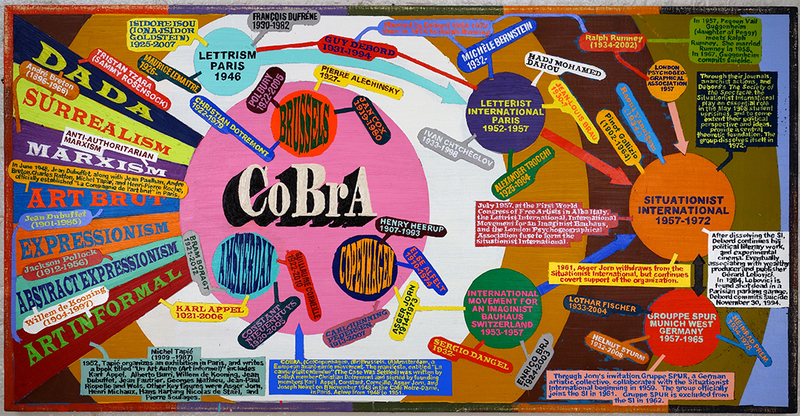 I’m working on a timeline painting which shows how art movements like Art Brut spawned other European avant-garde movements like the COBRA, The Letterists, Art Informel and the Situationists International. When you see how an artist like Asger Jorn moved from one group to another and changed art history, it’s inspiring and enlightening. DT 500 ZINE: – Yeas, they were awesome crews… impressive times as well…What does your work focus on? 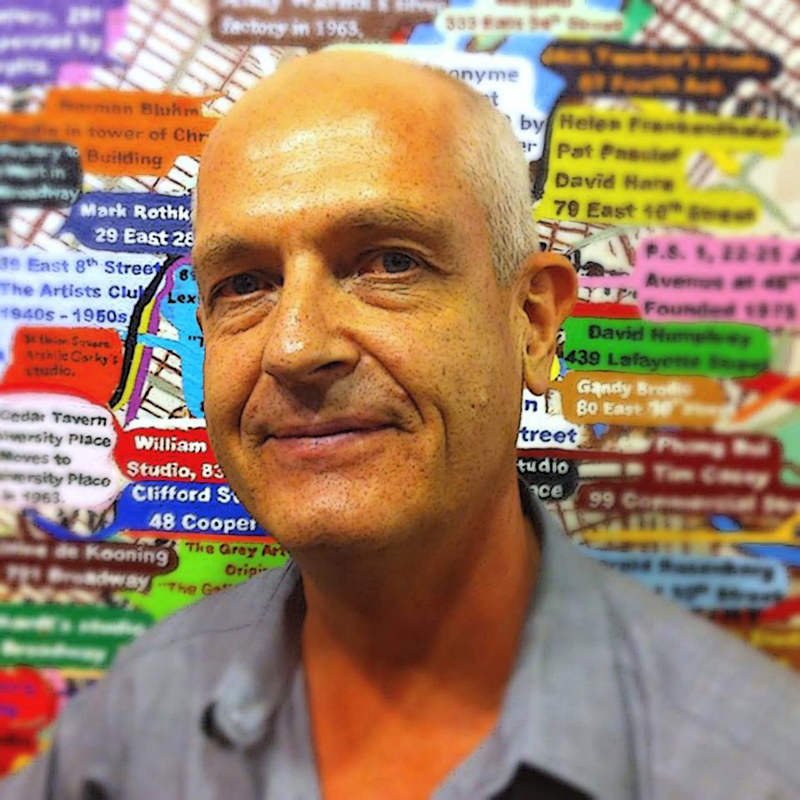 LOREN JAMES: – My practice focuses on the art community, its neighborhoods, galleries, people, places, events and concepts that have formed what we call art history. 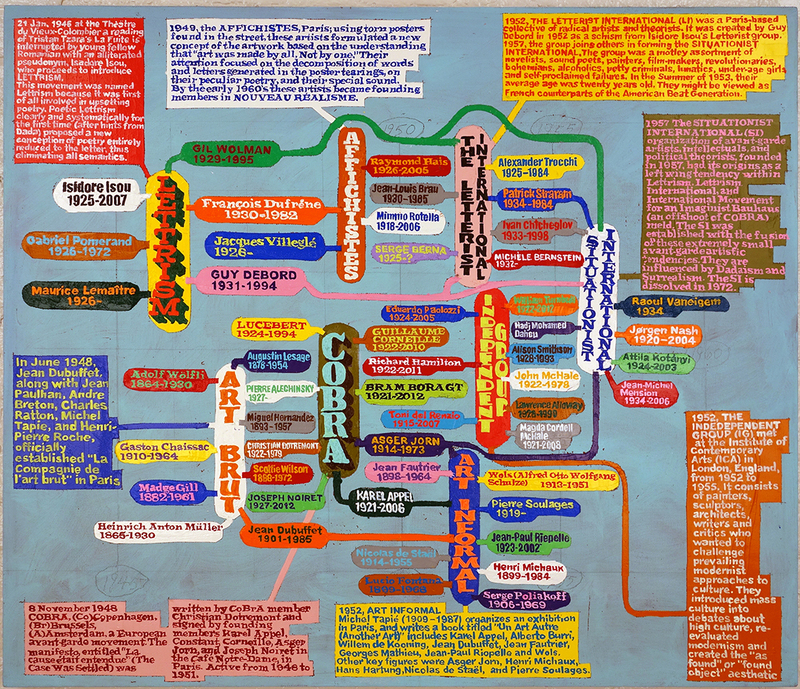 Much of this is done through mapping parts of New York and other cities and flowcharts depicting the progression of people, movements, and ideas. DT 500 ZINE: – What do you want to achieve, your ambitions? LOREN JAMES: – Of course I’d like to earn a little place in the big picture of art history. I’d also like to encourage artists to realize that they are part of a community, a tribe. This tribe has its own history, customs, and legacy. DT 500 ZINE: – Signing under! This is our agenda too… Tell us more about the place you are living today? LOREN JAMES: – I live in the Red Hook district of Brooklyn. LOREN JAMES: – Now, it’s the trendiest and most expensive borough in the City. Brooklyn is where a lot of the young artists are. I like to tour Williamsburg and Bushwick on my bike to see what’s happening. Also, Smith Street below Atlantic Ave. Has become a destination for foodies, with plenty of great restaurants and bars. But best of all for me is working here in my studio. Posted in HOME and tagged andrew edlin, art brut, Body Utopia Downtown 500 Magazine, cobra, downtown500, dt 500 mag manifesto, dt500, DT500MAG, gogosian gallery, james kalm, kitsch art, loren munk, moren james, neoexpressionism, nyc, pace gallery, ricco maresca gallery, the outsider art. Bookmark the permalink.